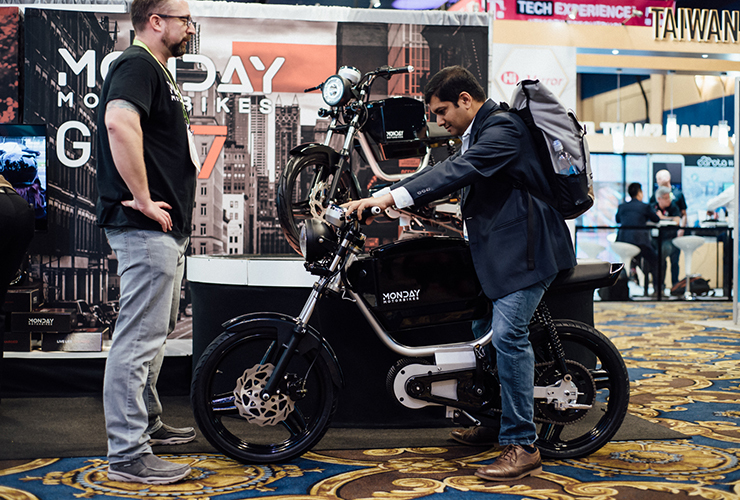 New Generation 7 Motorbike Unveiled at the Consumer Electronics Show 2019 | electricmotorcycles.news | It's time. 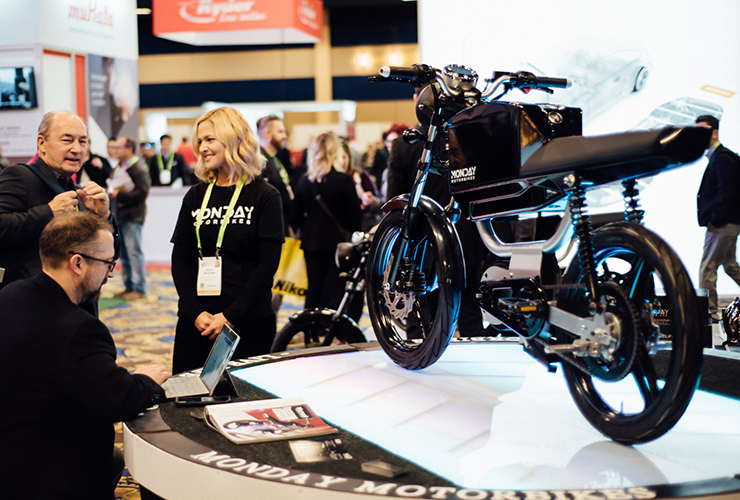 Source: blog Monday Motorbikes | Monday Motorbikes is proud to have been among the most successful exhibitors at this year’s Consumer Electronics Show (CES) in Las Vegas. 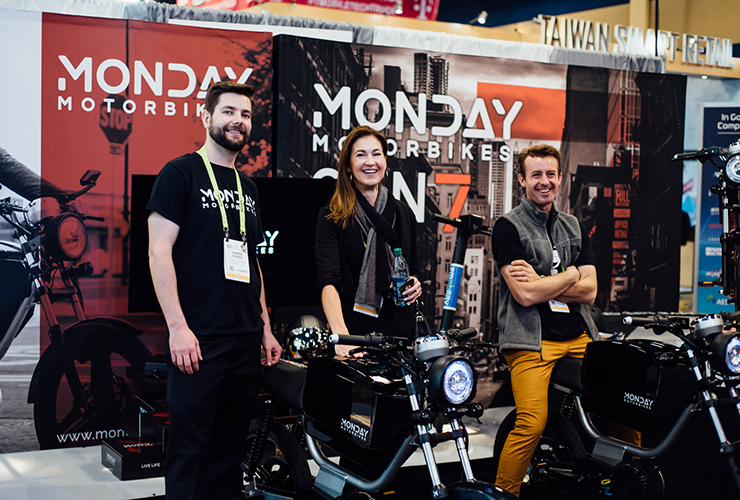 Seems like only yesterday when we hit CES guerilla-style, rolling down the streets of the Sin City and down the exhibition halls on our bikes, spreading the word about Monday (this was three years ago—click here for a #throwback photo! )… This year we upped the ante: what better way to unveil our new Generation 7 motorbike and herald the future of urban transportation than to join the ranks of the game changers in the high tech transportation sector and erect a salon in the much-coveted Smart Cities division of CES? 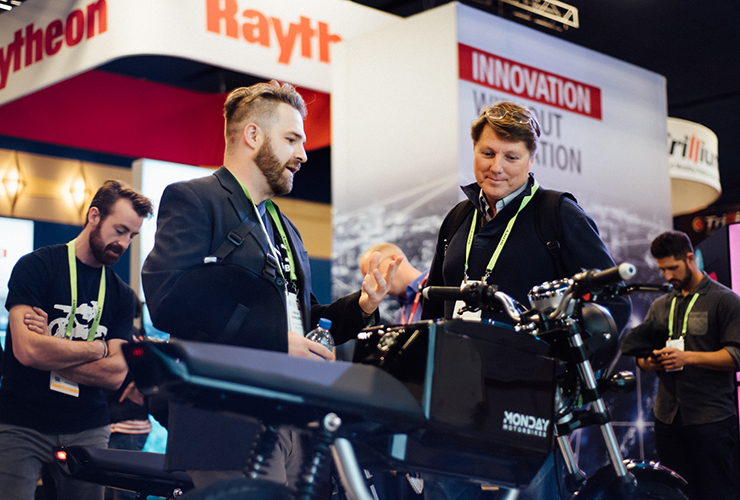 Yes, the much-anticipated and highly awarded Generation 7 motorbike is finally here, and we were so proud to have launched it at CES 2019 last week. We would like to take this opportunity to thank everyone—the fans, press, partners—who came to our salon during those four incredible days to meet the Monday Motorbikes team and to see and learn about the new bike! 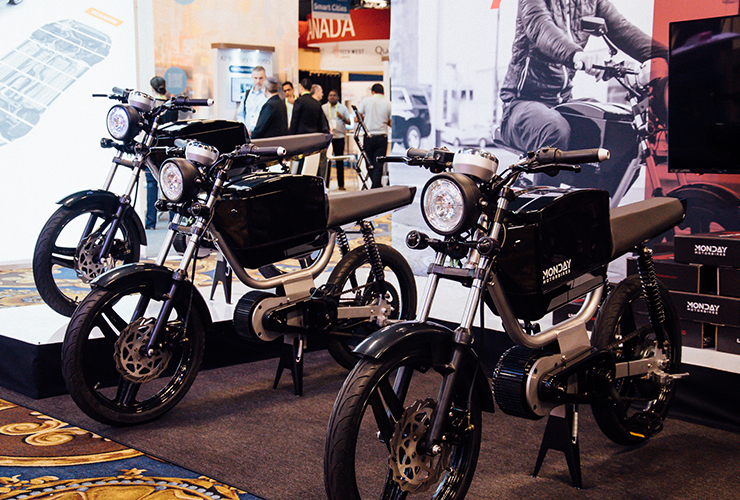 Thank you for making the Generation 7 motorbike a hit at the show! Thanks, as well, to those who participated in our special CES 2019 raffle—we will be announcing the winners soon! For those of you who couldn’t make it this year, here are some photos from the event— “like” us on Facebook and follow us on Instagram for more! 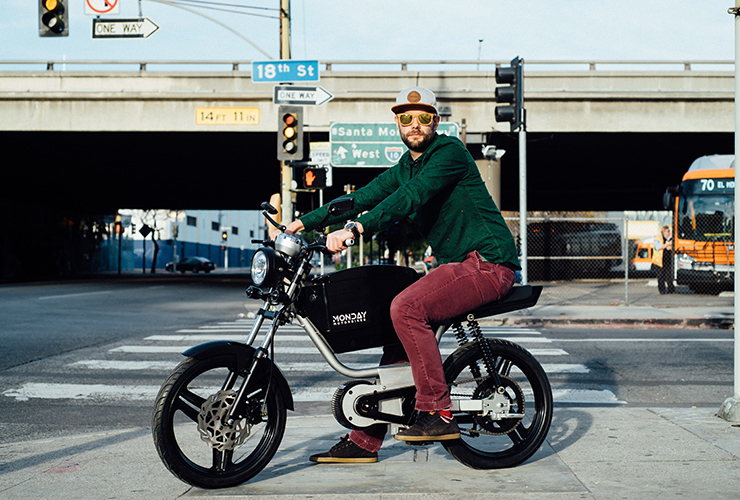 Monday Motorbikes was created by a team of passionate and environmentally conscience motorcycle riders to make getting around the city fun and convenient. 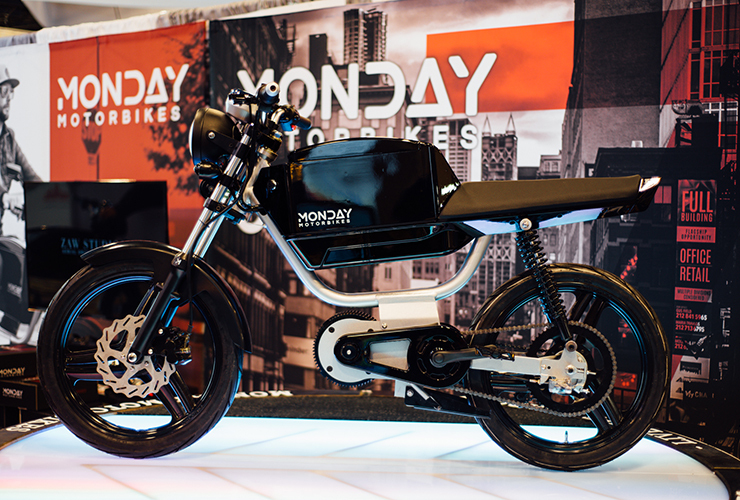 By combining old school design with new school technology, Monday Motorbikes provides clean, stylish, and easy to use motorbikes that revolutionize urban transport. We build a motorbike unlike anything out there.